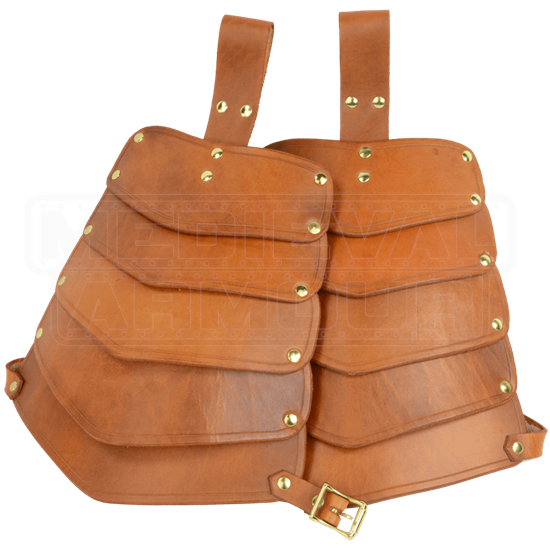 Displaying 5 overlapping plates that gradually increase in width, these Warriors Leather Tassets are available in several colors to coordinate with your battle kit. The heavy leather construction will protect your upper legs. Hand crafted in our shop from 13/15 ounce leather, these tassets are finished with steel or antique brass hardware. Each leather tasset has a loop to hang from your belt or cuirass and a buckled strap to secure it around your thigh. 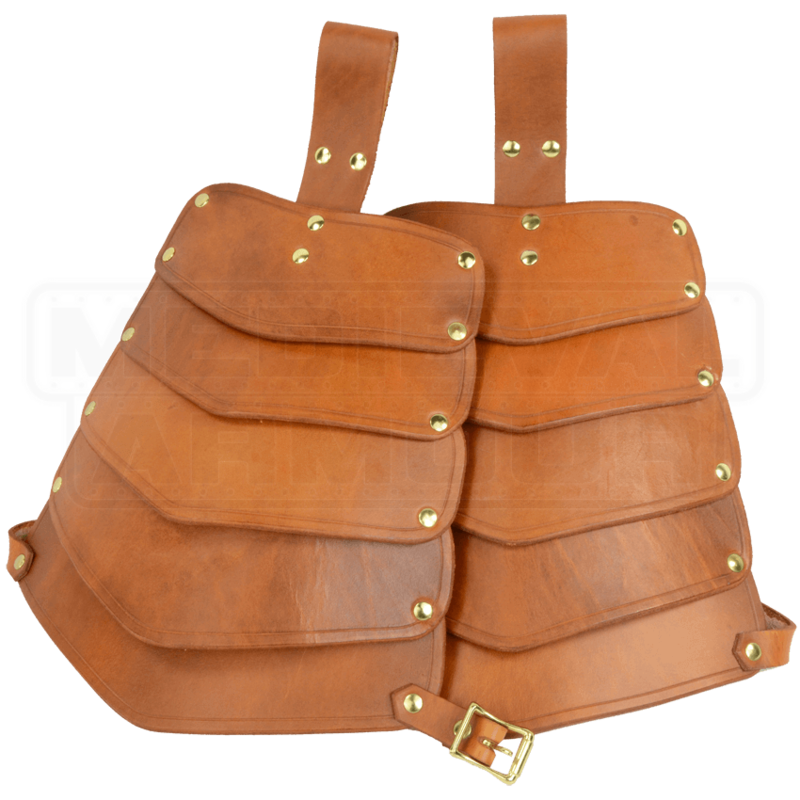 Perfect for SCA, LARP, or theatrical combat, these Warriors Leather Tassets are comfortable to wear with an understated style that will work for many different personas.